You are here: Home » L’Oratorie Saint Joseph Non Fini? L’Oratorie Saint Joseph Non Fini? Maybe they ran out of money, or vision. Or maybe the workers went on strike and never came back. For whatever reason, the interior of St. Joseph’s Oratory in Montreal doesn’t stand up to the grandeur of its exterior. It almost seems incomplete. Like they ran out of resources after finishing the facade and just threw up a concrete interior to get the job done. 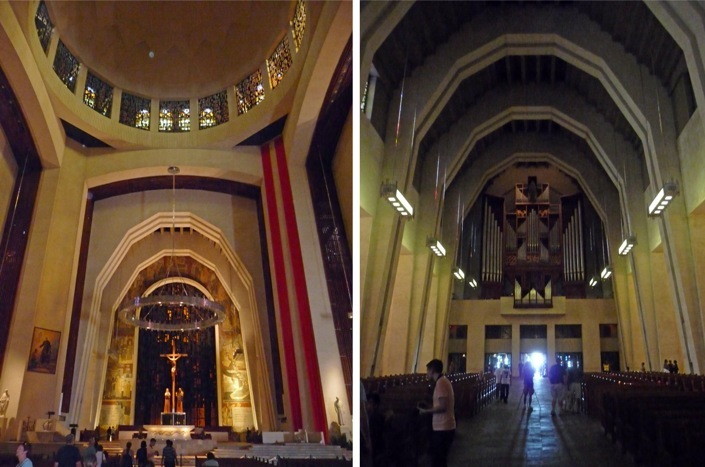 You can certainly imagine that the builders ran out of materials, because St. Joseph’s is huge; larger than either Notre-Dame de Paris or St. Pauls Cathedral in London. But somehow, it feels smaller. When stepping into the gothic halls of Notre-Dame, one’s senses are overwhelmed. You just can’t process everything there is to see. It is a bit staggering and awe inspiring. St. Joseph’s is nothing like that. Getting into the basilica involves ascending several escalators that could just as easily connect floors in an office building. The chapel itself is cavernous, but non-descript. Unadorned concrete pillars support a plain vaulted ceiling, which together hold up a similarly muted dome. But outside is a different story. 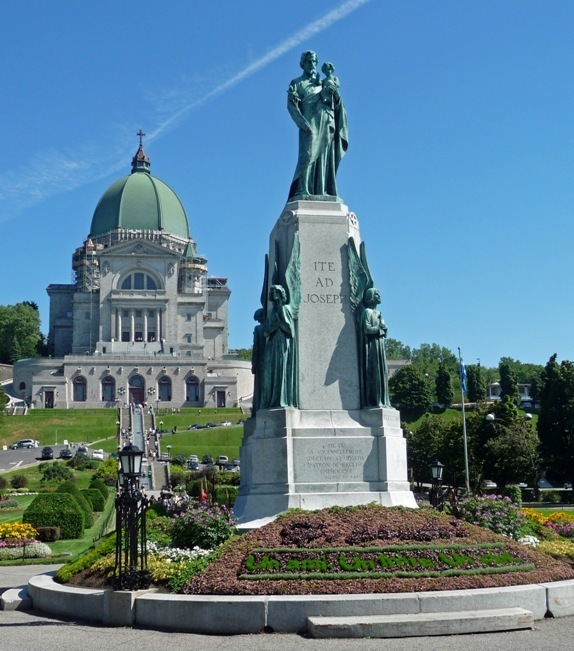 The rising slope of Mount Royal adds to St. Joseph’s impressive height; vaulting its magnificent dome, second in size only to St. Peter’s in Rome, to the highest point in all of Montreal. The Italian Renaissance style façade is gorgeous, evoking comparisons to Florence’s Duomo. Formal gardens in front, and an interesting prayer garden to the left, complement and complete the basilica’s external opulence. 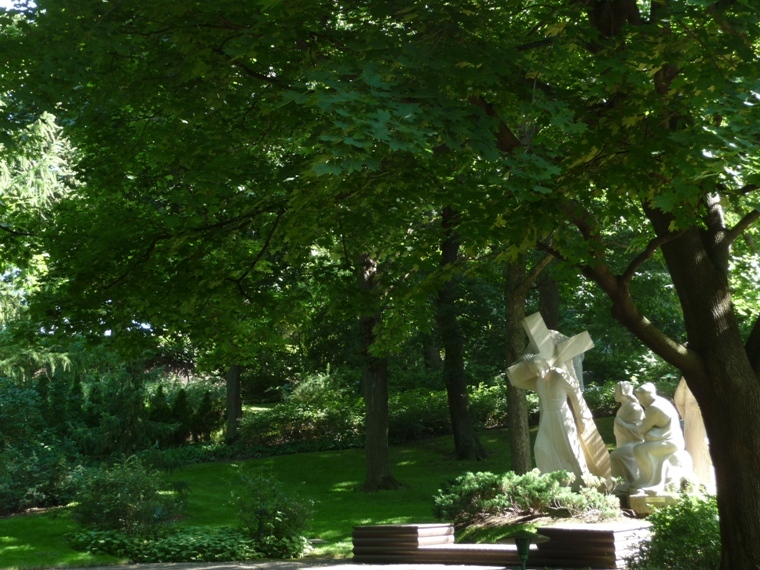 If you’re in Montreal, certainly stop by St. Joseph’s for the grounds and to admire the Oratory’s external architecture. Step inside for the price: it’s free.